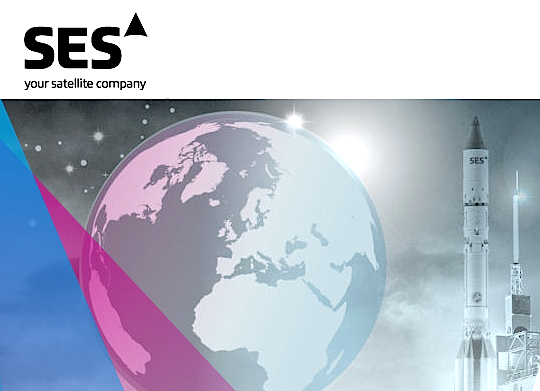 [SatNews] SES (NYSE Euronext Paris and Luxembourg Stock Exchange: SESG) announced plans to launch a dedicated satellite for governmental use in partnership with the Luxembourg Government in late 2017. A Luxembourg-based company jointly held by SES and the Luxembourg Government is planned to own and operate the new spacecraft. The Luxembourg Government and SES would each invest EUR 50 million into the new company, which, at the same time, would receive a EUR 125 million bank loan from a consortium of Luxembourg banks to finance the satellite’s procurement and launch. This investment has been foreseen within SES's existing capital expenditure projections. The spacecraft would be positioned in the European arc, covering Europe, the Middle East, Africa and Asia-Pacific. The capacity of the new satellite would satisfy Luxembourg’s requirements for satellite communications in military frequencies. Capacity would also be made available to governmental and institutional customers for defence and governmental applications. The multi-mission satellite will use dedicated military frequencies (known as X-band and military Ka-band), providing high-powered and fully steerable spot beams to support multiple operations.